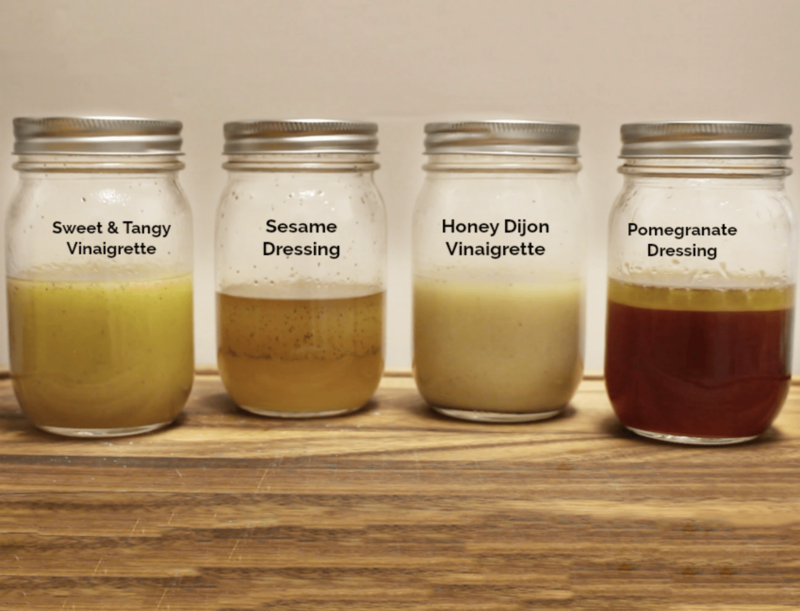 Sweet and Tangy Vinaigrette, Honey Dijon Vinaigrette, Pomegranate Dressing, Sesame Dressing- These four delicious dressings can be made in minutes and add the perfect boost of flavor to any salad! For each dressing, add ingredients to a bowl or mason jar and simply mix together! Store for up to one week.